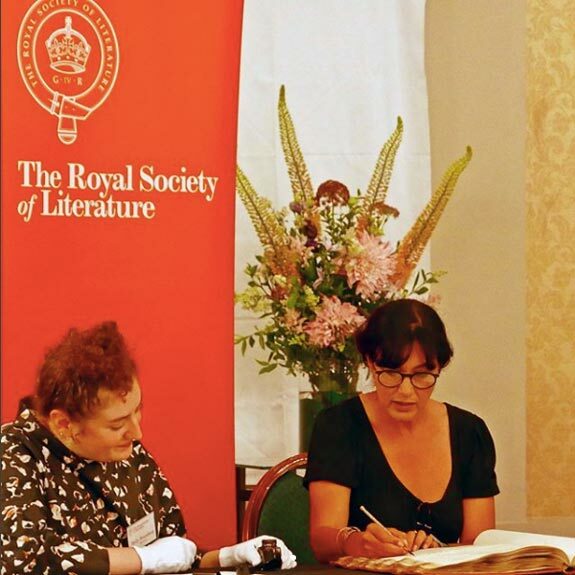 We are very happy to announce that Polly Samson has been made a Fellow of the Royal Society of Literature. For nearly 200 years, the RSL has celebrated and nurtured all that is best in British literature, past and present. Polly's current fellows include Margaret Atwood, Martin Amis and Rose Tremain. Fellows are given a choice of pens with which to sign the register from TS Eliot, Lord Byron and George Eliot. Polly signed using a pen that once belonged to one of Britain's greatest ever poets, Lord Byron. Polly joined Talks at Google to talk about her career, her two recent US book releases, 'The Kindness' and 'Perfect Lives', and her songwriting process. Published: Wednesday 25th May 2016. 'The Kindness' has been published in paperback in the UK, Brazil, Italy, India, the United States, and Australia. "A gem of a novel." "The main ingredients of this novel are deceptively simple. A man; a woman; a house; a child; a long-kept secret to be revealed, not in a fanfare, but in a series of small and somehow terrible revelations, tortuous as the human heart. It is a beautifully-written and intricately-constructed piece of writing; shining, poetic and sumptuous; a portrait of a sunlit lake, which at any moment may reveal itself to be the scene of a tragedy. Polly Samson is a writer of great insight and sensitivity; her novel is moving, wistful, wise and ultimately hopeful; grown-up in all the right ways, but still with a simplicity that comes directly from the heart." "Dark, sensual and clever. I loved this book so much I finished it then started re-reading it to see how she did it." Copyright Polly Samson. All rights reserved.